Tokyo Treat delivers unique Japanese snacks every month with a hand-picked box of candy. Providing you with a taste of Japanese culture, their Premium Box is packed with 17 items including a DIY kit, a limited edition item, and one drink, among other treats. 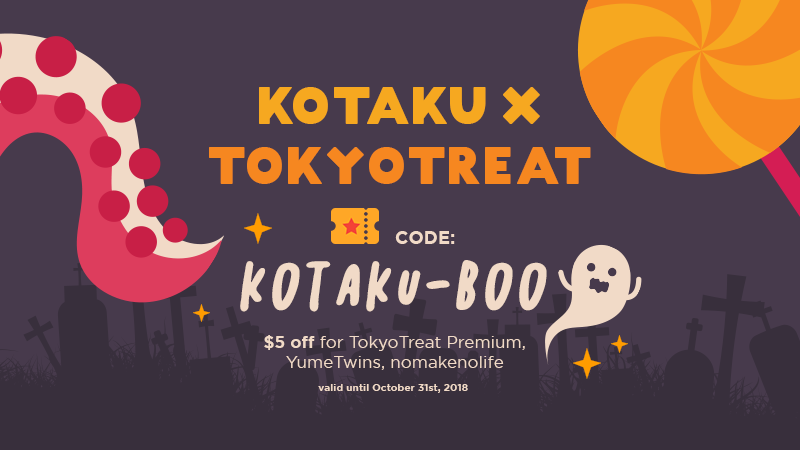 Use code KOTAKU-BOO to save $5 and get your first premium box for just $30 when you choose the monthly plan. Full details here.